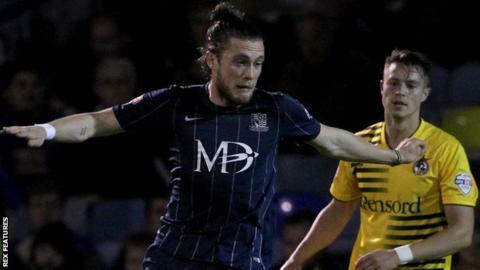 Southend United left-back Ben Coker will have an operation on a lower abdomen tear and miss about a month. The 26-year-old has played 29 games this season for the League One side, who have lost their last three games. "It's been a problem for around a month or so and he's been playing through the pain barrier," said manager Phil Brown. "It's the same surgeon who has operated on Samir Nasri and he was back after three-and-a-half weeks, so hopefully Ben will be around the same time." Brown hopes to bring in a replacement left-back in time for the Shrimpers' game at Peterborough on Saturday.